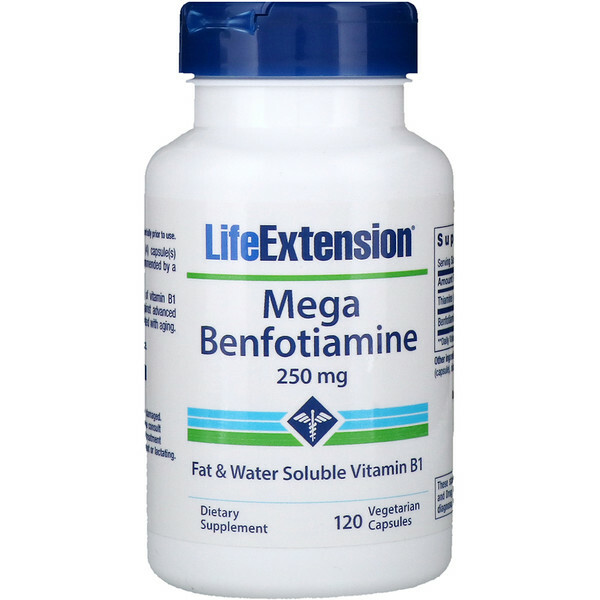 Benfotiamine is the fat soluble form of vitamin B1 clinically tested to offer protection against advanced glycation end products, typically associated with blood glucose irregularities. Benfotiamine, a fat-soluble form of vitamin B1 (thiamine), supports healthy blood sugar metabolism and helps protect the body’s tissues against advanced glycation end products and oxidative stress.66 For example, the enzyme transketolase is critical to blood sugar metabolism. Like many enzymes, transketolase requires a co-factor. In this case, it needs assistance from thiamine. Unfortunately, thiamine is water-soluble, which makes it less available to the interior of the cell. 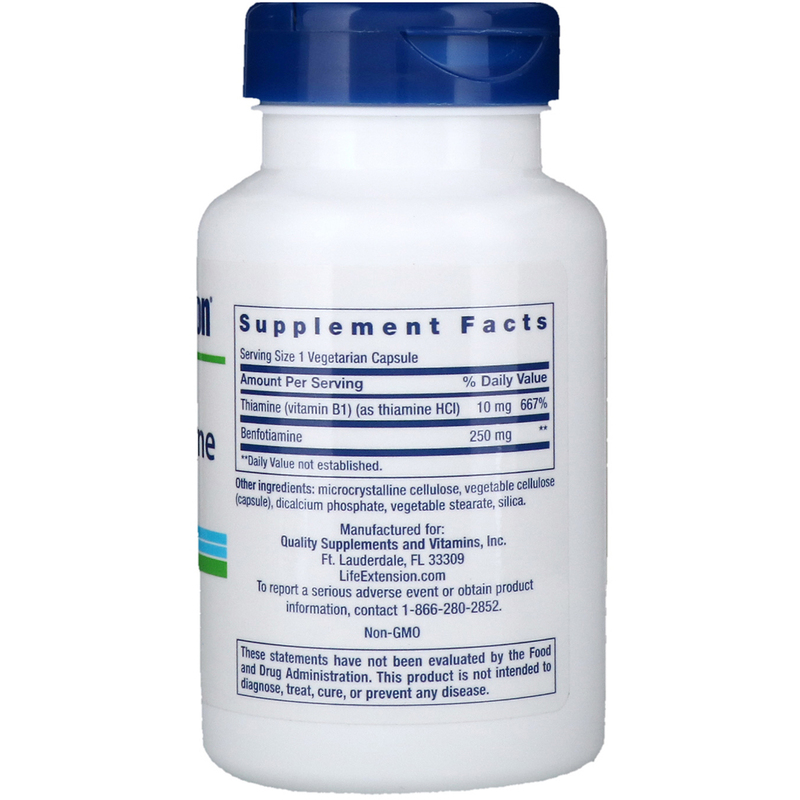 Benfotiamine is fat-soluble and can easily penetrate into the inside of cells. It is also more bioavailable than the water-soluble thiamine. In a landmark study, benfotiamine effectively increased transketolase activity in cell cultures by an astounding 300%, compared to a mere 20% for thiamine. This robust activation was sufficient to block three of the four major metabolic pathways leading to blood vessel damage. Benfotiamine also blocks the activation of the transcription factor known as nuclear factor-kappa B (NF-kB), which is implicated in numerous inflammatory conditions. Overall, benfotiamine can activate glucose metabolism and promote healthy blood glucose levels in those already within normal range. Benfotiamine also helps maintain healthy endothelial function and supports the health of the nerves, kidneys, eyes, blood vessels, and heart. Take one (1) to four (4) capsule(s) daily with or without food, or as recommended by a healthcare practitioner. Vegetable cellulose (capsule), microcrystalline cellulose, dicalcium phosphate, rice flour, vegetable stearate, silica. When using nutritional supplements, please consult your physician if you are undergoing treatment for a medical condition or if you are pregnant or lactating.